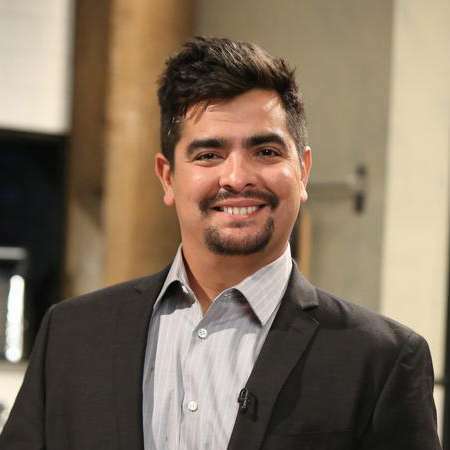 Aaron Sanchez, an American chef, and TV personality is the executive chef and co-owner of Johnny Sanchez. He runs his ventures in three different cities, New Orleans, Louisiana, and Baltimore. He currently appears as a judge in the Master Chef Us season 8 alongside Gordon Ramsey and Christina Tosi. He worked at Patria, Erizo Latino, Rose Pistola, L-Ray, and Paladar and has also appeared on the TV series Melting Pot, Boy Meets Grill, Throwdown! with Bobby Flay, Aaron loves New York and The Taste. Aaron Sanchez was born on February 12, 1976, in El Paso, Texas, United States. He was born to a mother Zarela Martinez and father Adolfo Sanchez. His mother was a restaurateur and his father was the author of several cookbooks. His nationality is American. He belongs to Spanish, American and African descent. He is one of his parent’s twin children and his brother name is Rodrigo Sanchez. Aaron Sanchez attended The Dwight School and he graduated from the same school. In 1996 he joined Johnson & Wales University in Providence, Rhode Island to study culinary arts. He started working from his early age after his family moved to New York in 1984 her mother launched the acclaimed Café Marimba, where he began cooking in a professional kitchen. He was sent to New Orleans to spend the summer working with Chef Paul Prudhomme by his mother when he was 16 years old. Aaron Sanchez became executive chef at L-Ray, which was specialized for the Caribbean and Gulf of Mexico’s foods. Later he also became executive chef at Isla which was a restaurant inspired by pre-Revolutionary Cuba. He also worked under Chef Reed Hearon at Rose Pistola in San Francisco. In 2014, Aaron opened Latin restaurant Paloma in Stamford. Again, in August 2014 he along with Chef John Besh opened the taqueria Johnny Sanchez in Baltimore. 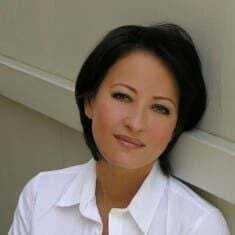 Sanchez has also appeared on several other television shows including Iron Chef America, The Next Iron Chef, Chopped, Throwdown! with Bobby Flay, Chefs vs. City and The Taste. 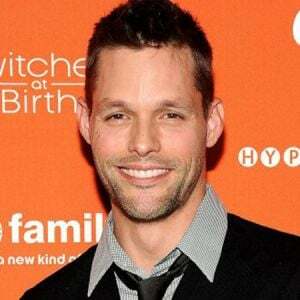 He also appeared as the host of Taco Trip and Aaron loves New York. Aaron Sanchez's net worth is $4 million at present. He has average height around 5 feet and 8 inches. He has perfectly maintained body and his has tattoo all over his body. Aaron’s bio and career are updated on his official site and his fan also visits information relating him on several other sites like Wiki and IMDb. Aaron is a divorced man. He previously married Ife Sanchez Mora from 2009 and 2012. The couple even shares one son together- Yuma Sanchez. He also has one stepdaughter name is Sofia Piana from his former wife. He currently lives in the United States along with his son and daughter. After divorcing her, he has not revealed that he has a girlfriend or any affair. Aaron has not been linked with many girls in the past and there are not many rumors of his affair. His current relational status is single and he was previously married once and later they divorced.